Whether a homeowner plans to install a deck during the warm months or are still in the beginning stages, finding the right deck material is vital. Timber decking northern beaches has a lot of options. So, the choice could be a little overwhelming. The following is some types of deck materials available. The original wood used for decks is still the mainstay. Pressure-treated lumber is chemically treated so it doesn’t rot and become infested with wood-boring bugs. A homeowner will have to do some preventative maintenance to avoid having to replace it such as yearly power washing. Also, reapplying stain can keep the deck functioning properly for additional three years. 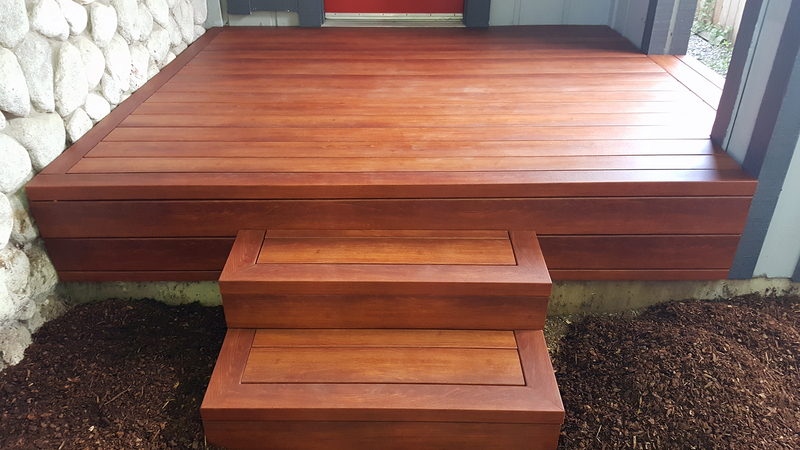 Tigerwood, cumaru and Philippine mahogany are some of the types of tropical hardwoods available for constructing a deck. They are typically rich-grained woods that are durable and resistant to insects and rot. They are also difficult to cut and drill because they are so dense. Thus, it’s important to leave the installation to the professionals. When compared to the pressure-treated lumber, the tropical lumber is more expensive. The choice for many people for a deck is either red cedar or redwood. They both have a natural beauty and rich color. Both types of decking materials usually don’t have a lot of preservatives or chemicals, so they are more natural than other materials such as pressure-treated lumber. Redwood and cedar contain oils and tannins, so they are naturally resistant to decay, rot various insects. Of course, the level of these decking materials to resist bugs or weather depends on the amount of heartwood in them. Heartwood grows in the center of the tree. It is hard and resistant to decay. One the outside of the trees is sapwood. Its location near the bark is softer. Thus, the materials cut from the sapwood are more susceptible to decay than the heartwood. Another disadvantage is that the homeowner will have to apply deck stain to keep the beautiful and natural color. If no stain is applied, the deck will eventually have a soft silvery gray appearance because of the weather. This means the weather will make the color lackluster even though the wood remains tough and sturdy. Installing a deck on a home is a great idea for backyard parties and times when the homeowner wants to relax. Besides wood, a homeowner can choose from composite decking or plastic lumber. Composite decking is made from polyvinyl chloride or polyethylene. The decking is available in many colors. The composite material is typically made with recycled plastic and wood fibers. It’s generally less likely to split or rot. Plastic lumber is made from 100 percent plastic. It doesn’t have any wood or wood fibers. It is stain resistant and doesn’t have any of the splinters and cracks that usually come with real wood.